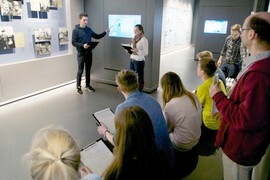 The German Resistance Memorial Center offers seminars for various types of groups. 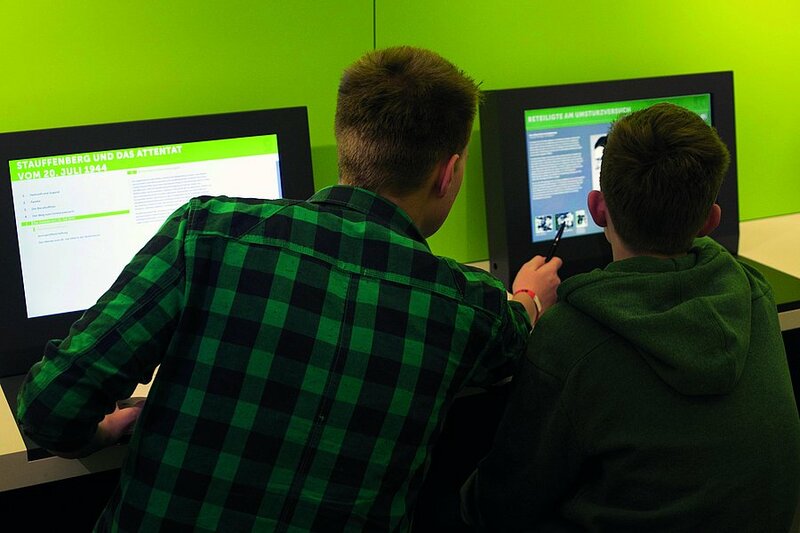 The range is aimed at school students from the age of 14, university students, army personnel groups, multipliers, and all other interested groups of young people and adults. We recommend that participants have some previous knowledge of National Socialism before attending a seminar. 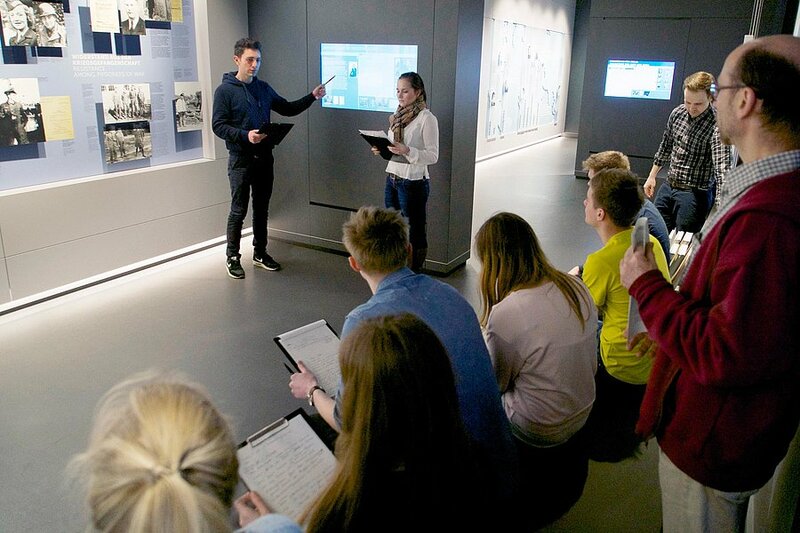 All seminars include a guided tour of selected parts of the German Resistance Memorial Center's permanent exhibition. Based on the participants' previous knowledge and interests, this tour presents the breadth and variety of the resistance against National Socialism using suitable examples. Following the exhibition tour, the participants form small groups to take an in-depth look at certain aspects of resistance against National Socialism. The focus is always on the question of how people exerted resistance against the National Socialist dictatorship, what motives and goals they had, and what they planned for the time after National Socialism. In a joint evaluation, the participants subsequently present their findings and reflect on the seminar. For all seminar formats, you can select one to two focal topics, which are worked on in greater detail during the session. More information on the specific topics is available here. The three-hour seminar formats are available in German and English. For requests for seminars in French, Spanish, Italian, Polish or Turkish, please contact us via E-mail: bildung(at)gdw-berlin.de. We are happy to advise you by telephone or email, and provide suggestions for focus topics, biographies, and methods suitable for the respective group. You are very welcome to book a free seminar for your group (from 10 to 40 people). Groups larger than 20 will be divided up for the entire seminar length.